This course is an introduction to the design and building of real objects. Students learn 3D visualization, accurate measurements, and how objects are designed to perform specific functions. The teaching of drafting principles is taught in conjunction with hands-on projects. 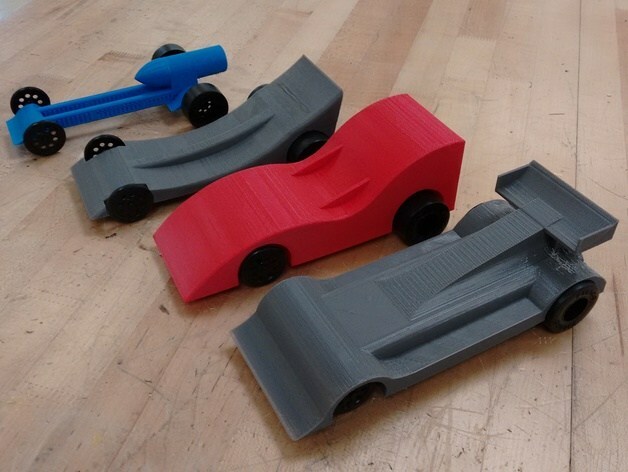 Major projects include the design and printing of an original Lego piece and the design, printing, and racing of a CO2 cartridge car built for speed. Use of the 3D modeling software, Autodesk Inventor Professional, is integral to the design process and to the teaching of drafting principles. Designs are built using machine tools (drill press and milling machine), 3D printers (Makerbot, Makergear M2, and Ultimaker), and a laser cutter. Prerequisites: Concurrent enrollment in Algebra 1 or higher.